NYDJ Billie Mini Bootcut Jeans featuring a narrower boot-leg opening in a dark blue Verdun Wash not only ultra comfortable but also incredibly flattering. Exclusive lift-tuck technology helps flatten the tummy and lift the rear with five-pocket styling, zip-fly and button closure. 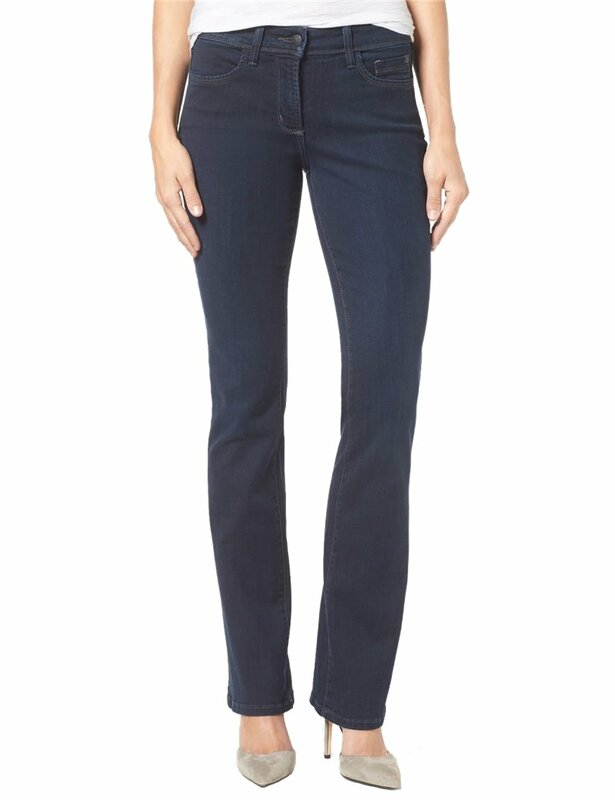 NYDJ Billie Mini Bootcut Jeans featuring a narrower boot-leg opening in a dark blue Verdun Wash not only ultra comfortable but also incredibly flattering.